Romano 3 Wall Clock is a very beautiful clock and the price of this clock is not expensive also. Due to its classic and unique looks, it can add elegance to your room. The color is very attractive. This good looking wall clock is made of plastic material. 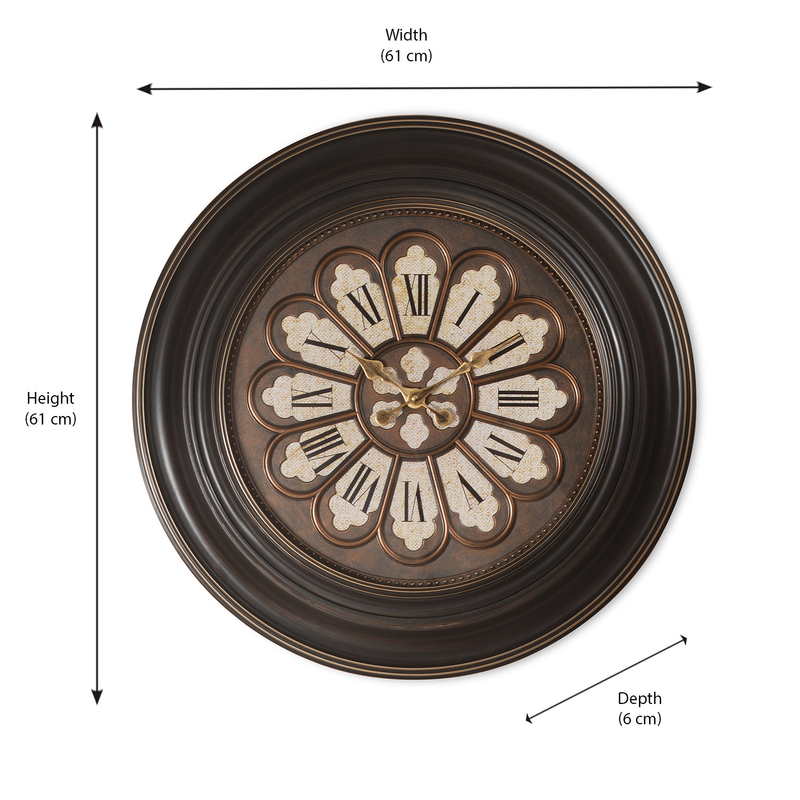 The dimension of this wonderful wall clock is perfect for any size of the room. There must be no doubts about the durability of this wall clock because of the plastic material. AA is the type of battery used in this wall clock. This is an Analog type of wall clock. IF you will have this wall clock at your home, the standard your house automatically increase and looks of walls also change in a beautiful manner. This wall clock can be easily used for gifts also because of it beautiful looks. A nice and beautiful clock is very important to make your houses more attractive. You can have this wonderful looking on your wall with @home.